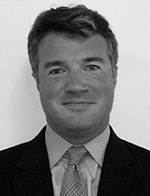 Benton is a Partner of Quilvest Private Equity and is based in New York. Benton is responsible for credit focused products at Quilvest and has over 14 years of private equity experience. He is a member of the Executive Committee and registered officer of Quilvest Securities (US Broker Dealer). Prior to joining Quilvest in 2012, Benton was a Managing Director at Prospect Capital, a New York based Business Development Company (BDC) with approximately $2 billion in assets. While at Prospect, Benton was a member of Investment Committee and was responsible for sourcing, evaluating, negotiating, and closing senior debt, junior debt, and equity investments. Before joining Prospect, Benton was a Managing Director at Allied Capital, a leading BDC with over $4 billion in assets. Benton led Allied’s private finance group in New York with responsibility for sourcing, evaluating, negotiating, and executing investments. Prior to Allied Capital, Benton was an Associate with Morgan Stanley in the Real Estate Investment Banking Group where he focused on M&A and public equity and debt offerings. Benton earned a BA in history from Dartmouth College and an MBA from UNC’s Kenan-Flagler Business School. Benton is married with three children.